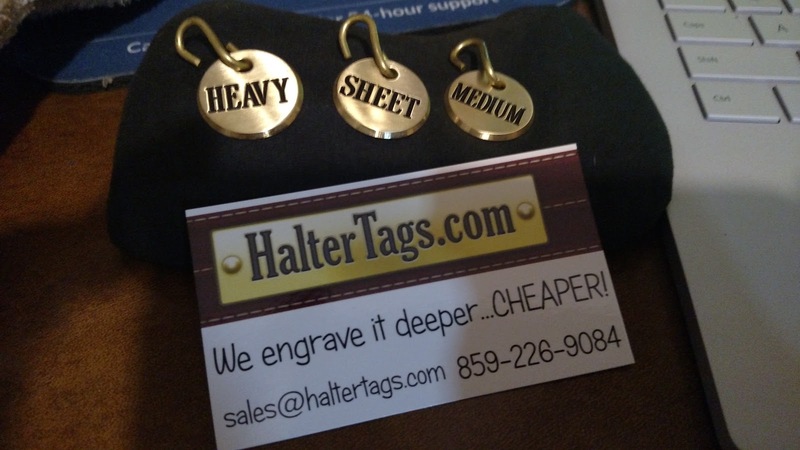 I was a little surprised to discover that I've never reviewed HalterTags.com before. 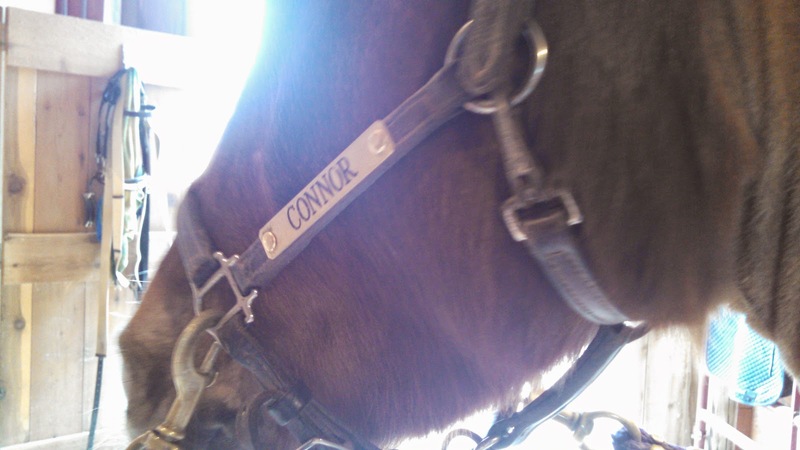 From my very first order for his halter nameplate when I first got Connor, it's the only place I've ordered tags, and I've ordered from them five times since 2011. I think I've replaced this nameplate three times, but it really doesn't matter when it only costs $5.95! I always like to find products that are the perfect blend of affordable and high quality, and HalterTags.com absolutely nails that. Their slogan is "We engrave it deeper...CHEAPER!" and it's SO true. 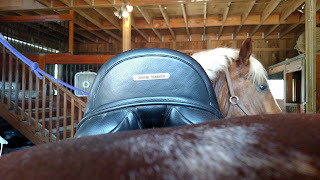 I've compared it to other tags on my barnmates gear, and a lot of their plates (I'm looking at you, SmartPak) just don't look as luxurious or carefully crafted as the HalterTags stuff. Plus they cost, on average, over twice as much. Seriously, that's some quality craftsmanship. My first couple of orders in 2012 and 2013 took a REALLY long time to get to me (like 6-7 weeks) and I would just like to publicly say THAT IS NOT THE CASE ANYMORE! They tell you that all orders are custom made and could take some time to get to you, but 6-7 weeks was not normal. I reached out to them for an update and quickly got a note back that they had some family health crises going on each time, and then got my order shortly after that. It IS a small business after all. That said, I still thought the products and price were worth the wait, so I stuck it out. Cathryn's Secret Santa present was my fifth order, and I was shocked when they were at my door under a week from when I placed the order. Nice work, HalterTags! Cathryn's Halter Tags present - this is actually the Toy Dog Collar nameplate! Love mini tack! 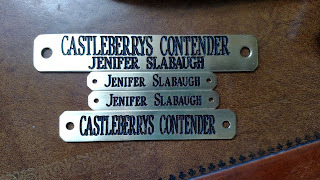 And, shipping is super reasonable (For example, the order above with the horse halter plate, belt plate and two saddle plates was $3.75 to ship). This is not a company I'm an ambassador for, they did not ask me to write this review and they've never given me anything. It's just a company I really respect for having great products at half the price of a big box retailer, and it's nice share that with you guys. Anyone else ordered from Halter Tags? Thoughts? I have ordered from them 4 times. Every time the order takes 4-9!!! Weeks to come in. The 9 week time was just placed last AUGUST. I don't know if they lost the order, but I finally contacted them after 8 weeks and then they got going. I love the quality though so I will continue to use them- just need to stay on top of them. I've never ordered from them, but the stuff looks nice! Will have to file them away in my memory bank for future orders. 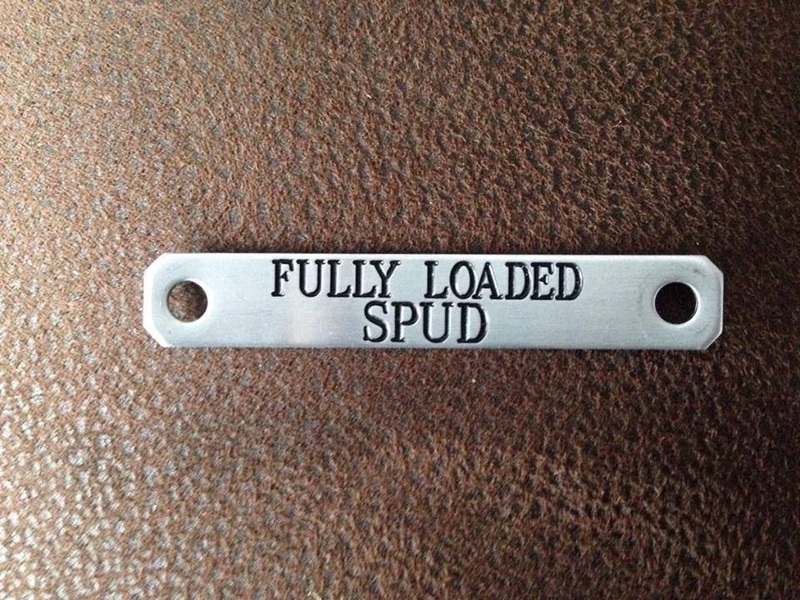 Spud's halter tag might actually be the cutest thing I've ever seen. Love halter tags, worth the wait! 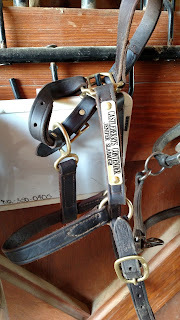 I have a halter plate and saddle plate from them. Love him. 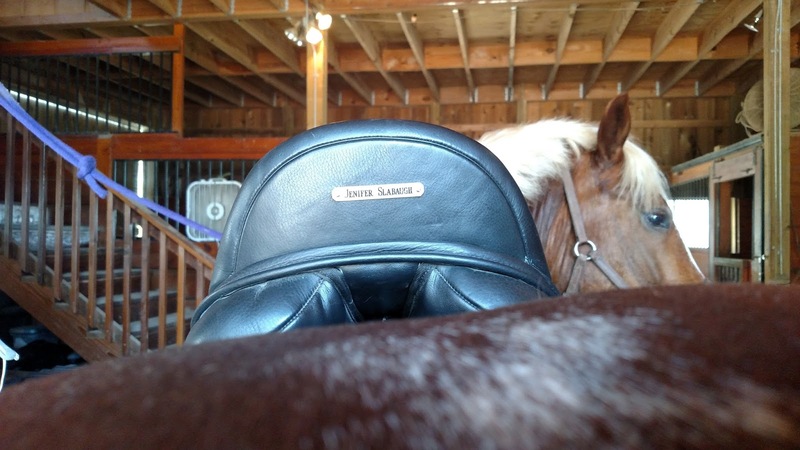 Takes a bit longer, but the quality is about 1000% better than SmartPak. I just placed my first order with them in the past couple of months. I love the products that I got! My local tack shop uses a company called The Engraver and I've been pretty happy with their work too (similar pricing, maybe slightly more but only $2-$3 more, maybe) But you can't order directly from them unless you go to one of the Devon shows. Glad to know there's other options out there especially if I need to order directly!!! I got one of these for Christmas, and I love it! I love them! 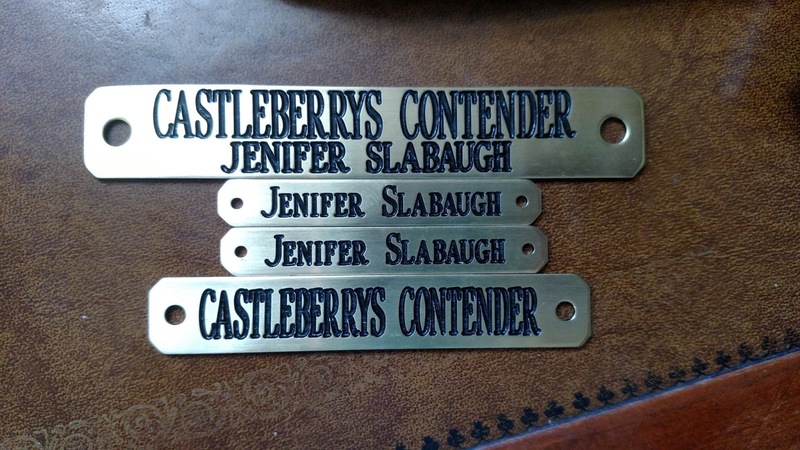 They took a long time on my order of a nameplate for Leo, and when I emailed to inquire about it they actually offered to send me a second tag (of any kind, with any engraving) for free because it had been so long since my order was placed. Both tags were in the mail the next day, and they arrived two days after that.